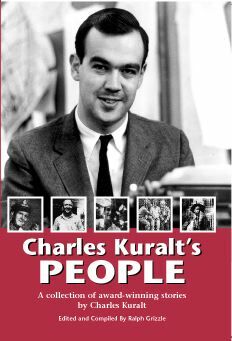 Timeless, insightful and entertaining, Charles Kuralt's award-winning "People" columns lived but for one brief year - 1956. Kuralt went to CBS; "People" went to reside only on microfilm. Until now. Written while Kuralt was a reporter for the Charlotte News, "People" appears collectively in print for the first time ever. The 169 columns, written when Kuralt was only 22, represent some of the bard's best work and mark the beginning of a dialog that the journalist continued with Americans for more than four decades. Resonating with themes of hope and goodness, "People" still appears as fresh and relevant today as in 1956, a testament to the extraordinary talent of a reporter who found stories where no one else thought to look. "Each day I would seek out some cop or kid or cab driver," Kuralt wrote of his experience at the Charlotte News, "and tell his story in a few hundred words . . . I used to walk bravely up to panhandlers and crapshooters - the sort of people others avoided - and strike up conversation." Those conversations will ring familiar to those who watched Kuralt's Emmy-winning television shows "On the Road" and "Sunday Morning." Kuralt's style and substance were essentially unchanged over the years - from his days as a rookie reporter to his final years as a veteran journalist. "Kuralt's writing is sensitive, warm with affection for obscure people, and with excellent touches of humor where that is needed," commented a panel of judges who awarded young Kuralt the prestigious Ernie Pyle Award for his columns. Now, nearly five decades later, Charles Kuralt's sensitivity, warmth and humor continue to echo in these profiles of ordinary - and often unnoticed - people. "People" will strike a chord with those who remember - and perhaps long for -a time when life was simpler - and with those who did not get enough of the comforting voice and practical wisdom of the CBS newsman who died July 4, 1997.